At Amphasys, we aim to be open about the way our site works to collect user data, we are committed to safeguarding the privacy of our website visitors; this policy sets out how we will treat your personal information. 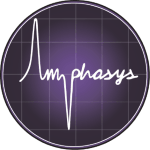 The data controller responsible in respect of the information processed on this website is Amphasys AG. Information relating to your financial transactions with us will be kept for the period required by relevant Swiss tax and revenue legislation. Your personal profile and membership data will be retained whilst you continue to be an active customer or subscriber, and for up to 7 years following cessation of any activity. In all other cases, we will erase or anonymize your data once it is no longer necessary for the purpose we obtained it for.